Written by Sonya G. Zarkhin B.S. Edited by Paul M. Graham D.O. Now that we understand the basics of hair growth from our previous article entitled Hair Care Concepts: The Basics, we can discuss the most important part of hair loss: making the correct diagnoses. In this article, we will discuss normal hair shedding and the different kinds of tests to expect from your physician to assess abnormal hair shedding and hair loss. Determining true hair loss is quite tricky and requires a thorough evaluation by your physician. It is important to recognize the difference between normal and excessive hair shedding. 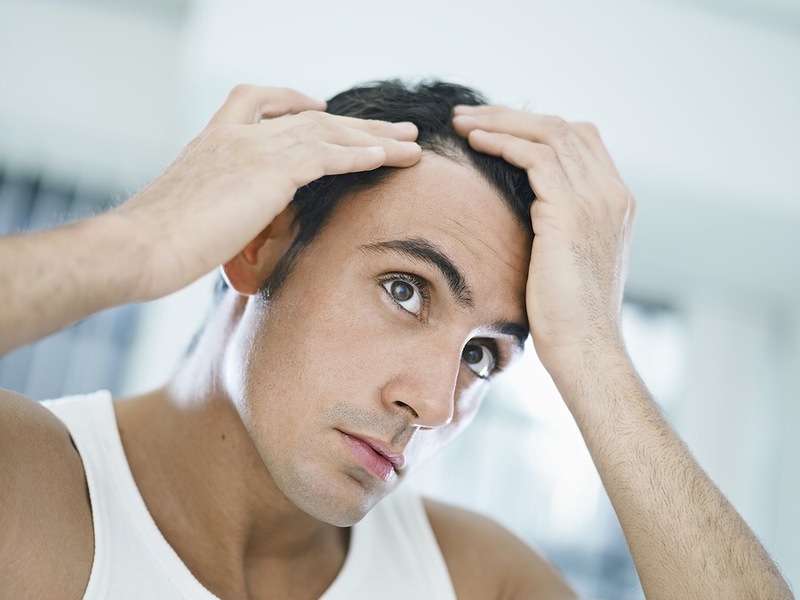 Excessive shedding may ultimately lead to hair thinning and hair loss over a short period of time. If this is you or someone you know, you are in the right place! We lose hair every day from all parts of the body. Recalling the hair cycle from the previous article (Hair Care Concepts: The Basics), hair is lost during the final phase of the hair cycle: the telogen phase. On any given day, 10-15% of your total body hair is in this phase . Luckily, this doesn’t mean that you lose 10 – 15% of your hair every day, since this phase generally lasts approximately 3 months. Day-to-day hair loss is typically around 100 hairs a day, but can be up to 200 depending on environmental factors such as the yearly season or vigorous hair washing . For example, one study found that the number of daily shed hairs peaks during August and September . Counting each shed hair can be a cumbersome process, so luckily there are other ways your physician can determine if you are abnormally shedding hair. 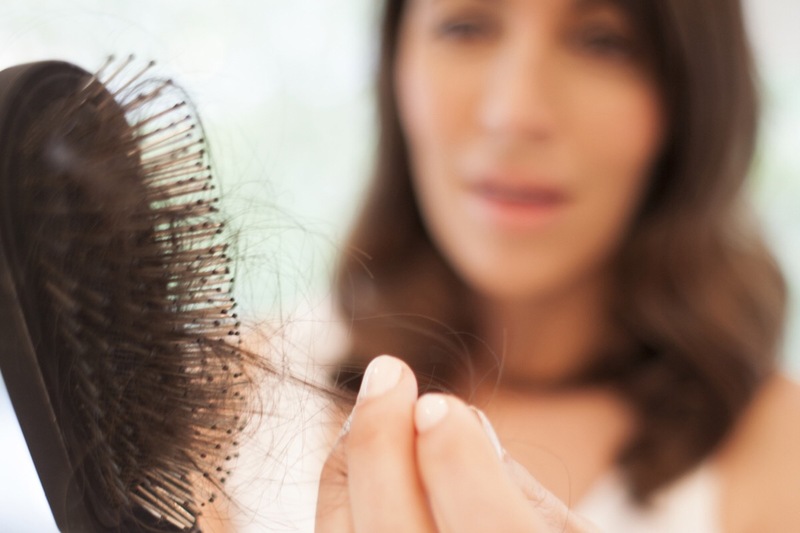 Although it may be difficult to avoid such stressors in your life, it is important to recognize that they can be the cause of your increased hair shedding. Increased shedding is usually noticed a several months following the stressful event. However, as you recover from the culprit stressor, you should notice that your shedding normalizes in 6 – 9 months. There are many tests your physician can choose from to help diagnose excessive hair shedding. Below are several of the more common tests that may be offered during your office visit. As the name implies, this test involves a little pulling on your hair. A handful of hair, typically around 40-50 hairs, is selected and is gently pulled. This is done 4 times in different regions of your scalp. The test is considered positive if the practitioner is able to pull more than 5 -7 hairs off of the scalp. A positive hair pull test may indicate abnormal hair loss activity. In order to have the most accurate results, it is important that you avoid shampooing your hair 24 hours before your test. Hair washing might increase the number of hairs lost during this test and may give you a false positive! By the same token, brushing the hair before you appointment may clear away the hair about to fall out, resulting in a false negative. This test is sometimes used to see if excessive shedding and hair thinning is due to fragility of the hair shaft rather than issues at the hair bulb. For this test, a group of hairs is selected and the physician places their hands at the end of the strand as well as halfway to the scalp. A slight tug is placed on the hair and the practitioner looks for signs of strand breakage. This test is used to determine if there are any issues or disorders affecting the hair cycle or the hair shaft. This is done by selecting a few hairs and looking at them under the microscope to assess the condition of the hair bulbs and the hair shaft. The hair bulb is inspected to see what phase of the hair cycle the hair is in and may influence if you need further testing. The hair shaft structure is inspected for abnormalities that may indicate a hair shaft disorder. A scalp biopsy is considered gold standard in diagnosing serious hair loss conditions like scaring alopecia. During this procedure a sample of skin from the scalp is taken. This tissue is then looked at under the microscope with special stains that help your physician determine a diagnoses. This is usually done in an area that is not cosmetically visible and requires a stitch or two. After the area is done healing, a small, barely noticible scar may be left behind. This is a very safe procedure and often times is the one that is able to give your physician the most information about your specific condition. At times a blood test is offered. The blood sample is analyzed and your physician will look at specific parameters. For example, the levels of iron, nutritional status, and hormone levels like the thyroid hormones are commonly analyzed. If one of these levels are too high or too low, they may be the cause of your increased hair shedding. At times, finding the cause of your increased hair shedding may be difficult. For this reason, there may be multiple courses of testing to find your specific cause. However, once the cause is established your physician will provide a treatment plan specific to your needs. Stay tuned in the coming weeks as we dive into available treatments and what you can do to help maintain your luscious locks! Bolognia, J. L., Jorizzo, J. L., & Schaffer, J. V. (2014). Dermatology (3rd ed.). Edinburgh, United Kingdom: W.B. Saunders Company. Next Post Tip of the Week: In What Order Should I Apply Topical Products? Wow! Thanks for the great post I really appreciate it. All these information up there really important and valuable. Thanks again for letting us know and enlighting our selves.